The Ultimate Adventure Safari is a luxury Safari where no expense is spared in making this a memorable Safari. Combining sophistication and tranquillity, the Ultimate Adventure Safari will exceed your expectations with superlative standards and impeccable style. 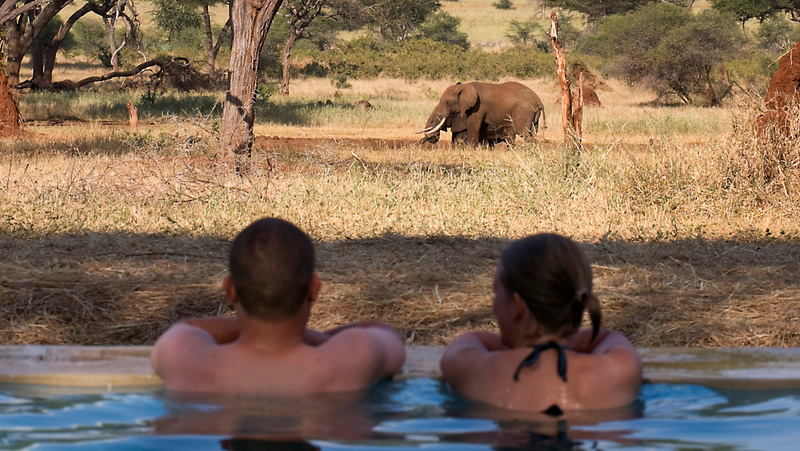 This safari is well though-out ideal for adult-only retreat, honeymooners or for those who want to spoil themselves a bit, relax and safari in style. Go-Getter is a unique safari made for clients with limited amount of time to spend in Tanzania but still want to enjoy what Tanzania has to offer. This Safari is pack with exciting and adventurous activities from the get go to the very last hour. Ideal for enthusiast with big appetite for culture, wildlife and dramatic sceneries, this is safari ensures that you get a fast track in to the amazing Tanzania. Venture is an exciting safari package recommended for explorers. This safari will include; walks, hikes and camping experiences, travelling to national parks, shopping at various markets and observing Tanzania’s vast landscape. Trail away safari is a culture infused safari giving you a taste of Tanzanian culture and exotic landscape. This facinating tour of villages and caves will give you a true flavour of Tanzania’s history and natural beauty. Come and experience the hustle and bustle of Tanzanian life! If you are looking for that quintessential tropical safari stay with a mixture of hot sunny safari and cool beach days, then this is the safari for you. Hub safari specializes in making sure that you have a taste of everything Tanzania has to offer. This safari offers a tour of Northern parks and a relaxing stay on the exquisite, alluring island of Zanzibar, home to lush scenery, and beautiful coral coast. Easily accessible from the main land. Roots tale safari keeps you rooted in Tanzania. A fun filled safari that everyone can enjoy, consisting of an extraordinary array of land activities and walks through some of the most beautiful landscapes and scenery that Africa has to offer. This safari is a combination of mountain walks to Mt. Kilimanjaro and Mt Meru, Northern park safari tours and or a tour of Zanzibar. Memorable signature safari is a tailor made safari, designed by you. This is a chance for you to create your own ideal safari package. Together we will create a customized memorable safari experience of a lifetime.